As Hurricane Florence gets closer to a possible landfall and several named storms threaten other U.S. states and interests, we wanted to send all of our partners a few quick but important storm-related reminders. The Federal Motor Carrier Safety Administration has relaxed hours-of-service regulations in 11 states and the District of Columbia as Hurricane Florence makes its way to the East Coast. 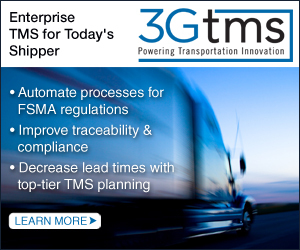 The fate of a provision tucked in the transportation bills in the House and Senate that would suspend enforcement of the electronic logging device rule for livestock haulers remains uncertain as lawmakers approach a Sept. 30 government funding deadline. 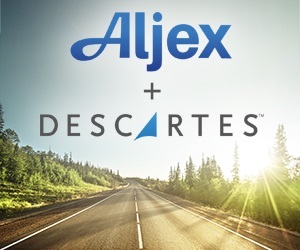 The retailer will offer referral bonuses of up to $1,500, shorten the on-boarding process for new hires by more than a month and broadcast its first national TV ad focused on its 7,500 truckers. Registration Opened June 1 for the 64th Annual Conference scheduled for March 3-5, 2019 at the JW Marriott Resort & Spa, Palm Desert CA. We are off and running with record levels of conference registrations processed the first 3 months. If you have attended a conference in the last 3 years, you will have received an email with the necessary voucher code needed to complete registration for the conference beginning June 1, 2018. Once you receive the registration confirmation, you will be able to access a link provided to secure your hotel reservations. Only registered conference attendees will be able to secure room reservations at the Food Shippers of America contracted room rate. Onsite room availability is limited and overflow hotels will be made available. 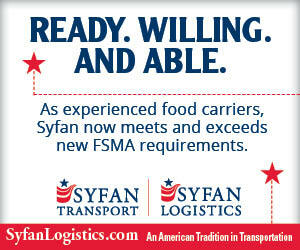 If you have not attended a Food Shippers of America conference prior to 2016 please email media@foodshippersofamerica.org with your complete contact information and you will receive the needed voucher for registration within 1-2 business days..
We are limiting total attendee participation to the first 1100 completed registrations received and as of the distribution of this Enewsletter we have over 775 registrations in place. The conference resort is at 75% capacity. We will have overflow room availability at the onsite Marriott Villas. See you in Palm Desert! The DOE reviewed data from the U.S. Energy Information Administration and found gasoline demand had peaked. Diesel fuel, jet fuel and bunker fuel used in cargo ships is rising and is expected to keep going up for 30 to 40 years. 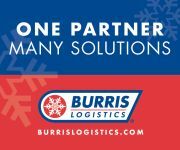 At Burris Logistics, your business is as important to us as our own. 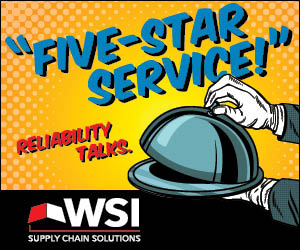 We listen to you, learning from our customers and the industries we serve to collaborate on the best solutions for your end-to-end supply chain needs. The conference will take place September 25-27 in Westchester, New York. The Nears Awards will also be announced. 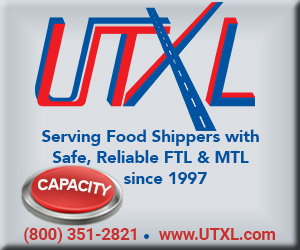 Food Shippers of America Has Reached a Record Level of Member Companies for 2018-2019! Thank you to all of our members for your support! With the 64th Annual Foods Shippers of America conference almost 75% sold out, please find our tentative agenda that our Co-Chairs Earnie Seibert, Sanderson Farms and Mary Kearney, Hirschbach Motor Lines and committee are working towards another great conference. Planning your food delivery in the most economical and quickest transit time possible allows you to keep your food products at their best. 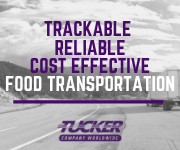 Tucker specializes in arranging your freight according to your needs, contracting with a select group of carriers, and applying our innovative “forensic dispatch” approach to strive for the safe, seamless and on-time delivery of your product. Two rounds of play Sunday, March 4 at the Wildfire Golf Club on the JW Marriott Desert Springs Resort & Spa property! Note: earlier tee times 6:30 a.m. and 12:30 p.m.
We are excited about the upcoming conference that will be here before you know it! The always Great Time of Golf is about sold out. So please check and ensure that you have your registration completed and requested pairing noted, if any, as it will sell out shortly. We are excited to be at the Desert Springs course again as last time we were here we had a Hole in One winner for $10,000! So get out and practice, and we look forward to seeing the first 244 people who get signed up out there on Sunday to try and win some cash and bragging rights within the industry for a year. You or your guest must be a registered conference attendee. Mark Your Calendar for Future FSA Annual Conferences! March 3-5, 2019 JW Marriott Desert Springs Resort & Spa, Palm Desert CA. February 23 - February 25, 2020 JW Marriott Orlando, Grande Lakes, Orlando, FL. February 28 - March 2 2021, JW Marriott Desert Springs Resort & Spa, Palm Desert CA. February 20 - February 22, 2022 JW Marriott Orlando, Grande Lakes, Orlando, FL. Eligible Applicants are children or dependents (including spouses) of a Supply Chain Logistics Department employee whose Company's membership dues are current. 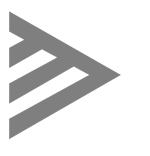 THE 2019 JOHN J. MURPHY SCHOLARSHIPS WILL INCLUDE AWARD DISTRIBUTIONS TOTALING $22,500.00. 2019 Applicants- Please complete the attached application and return via email to scholarship@foodshippersofamerica.org or mail to Food Shippers of America Scholarship C/O FSA-MDI 2800 S River Road Suite 275 Des Plaines, IL 60018. All completed applications and supporting documentation must be received by received by December 14th, 2018.